One of my favourite rooms in my house is my bedroom. Gilles works away a lot for days or weeks at a time and, in the evenings, i don't really like being downstairs by myself. I like to make my room cosy and get myself settled down. I am constantly changing my house around and my bedroom is one of those rooms that i am always tinkering with. 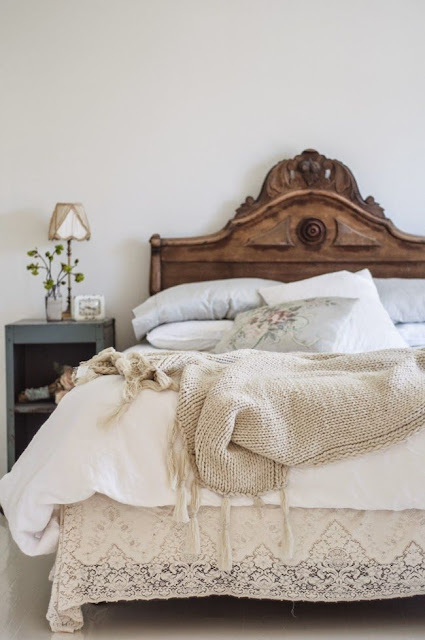 I like to change it with the seasons and i like to swap it from being light and airy, full of flowers to warm and cosy with blankets piled high and candles filling the room with scents of apple and vanilla. One thing that i feel can make a room just that extra bit cosy, is storage. Around my bedroom, i have old picnic hampers, wicker baskets and my vintage dressing table to keep my little trinkets and treasures in. I love to have them in view so i can just peer into the baskets to find inspiration. I like to try and keep the rest of my room clutter free which includes clothes and accessories. I don't even like to have a hair brush or deodorant can out on my dressing table. I just like to keep these things squirrelled away and keep my room as somewhere that inspires me and that i can relax in. My dressing table is filled with vases of flowers, old brownie cameras, tiny dolls house furniture and teacups and my walls are covered in botanical prints, hanging lace dresses and flower crowns. I just love being in my room and having a constant creative aura around me. All my dresses, shoes, accessories and random bags of just "things" are kept in a walk in closet which is just a little storage room in the corner of our bedroom. I try to keep this wardrobe tidy, but apart from one rail in there for all my dresses, i just don't have any organisation at all. I have found some amazing ways to organise all my things through Betta Living. They do fitted bedrooms, kitchens and bathrooms but in the bedroom accessory section, they have pull down wardrobe rails, pull out shoe rack (which i really do need in my life!) and pull out units to keep those things i have just thrown in bags and thrown at the back of the closet! My heart does race when i open up my closet sometimes because i really do need to do something about it. 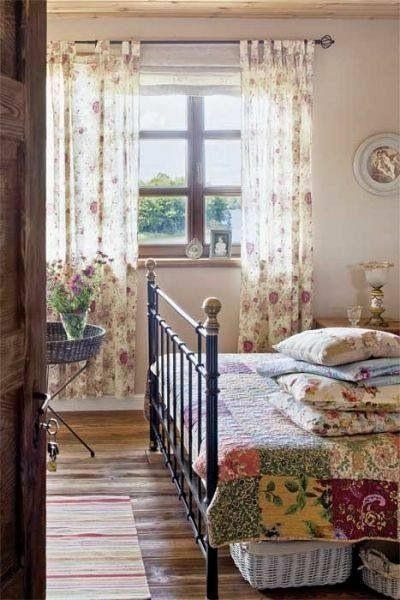 I love the idea of wallpapering one of the walls in there and having everything organised a little bit more! Do you have any organisational tips or something in your own closet/wardrobe that just helps you stay organised? I would love to hear!